You might ask, why did we come all this way to share a little sweetness? 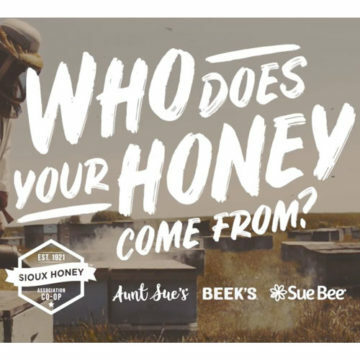 Well, the Sioux Honey Association Co-op is a cooperative, not a corporation, owned by our member beekeepers across the United States. One of our very own co-op beekeeper owners, David Thomas, runs 5200 hives across the big island from his operation based in Kea’au. 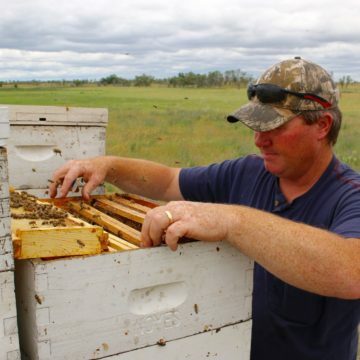 As a result of the eruptions and lava flows, he’s had to relocate half of his hives to safer bee yards on the island. An important part of being a co-op is we help each other out, so here we are – to lend a hand, to help David tell his story, and to help the many others affected, while sharing a little of our sweetness. How can you help? Be sure to follow our tour updates, share our posts, and if you’re in the neighborhood, visit one of our tour stops for free honey samples and recipe ideas, and drop off your donations for the relief efforts. Some of the items most in need include: instant soup, chips/crackers, boxed juice, coffee, canned tuna/chicken, boxed milk, baking soda, cleaning supplies, toothpaste/toothbrushes, shampoo/conditioner – and of course, honey. Thanks for your help, and Aloha from your friends at Sioux Honey Association Co-op.